A chocolate cake crossed with Christmas pudding covered in a chocolate nutty nest topping! 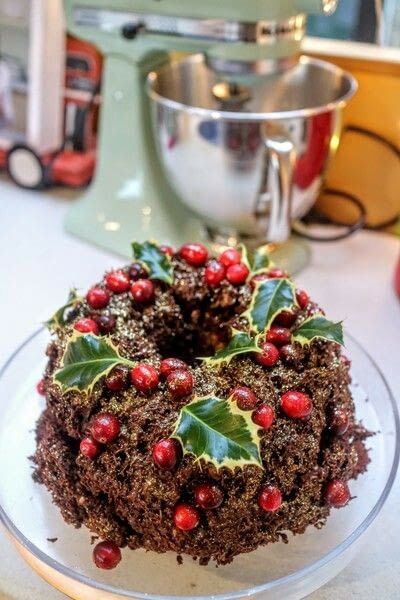 We were having a tough time deciding on what to have for dessert on Christmas this year. 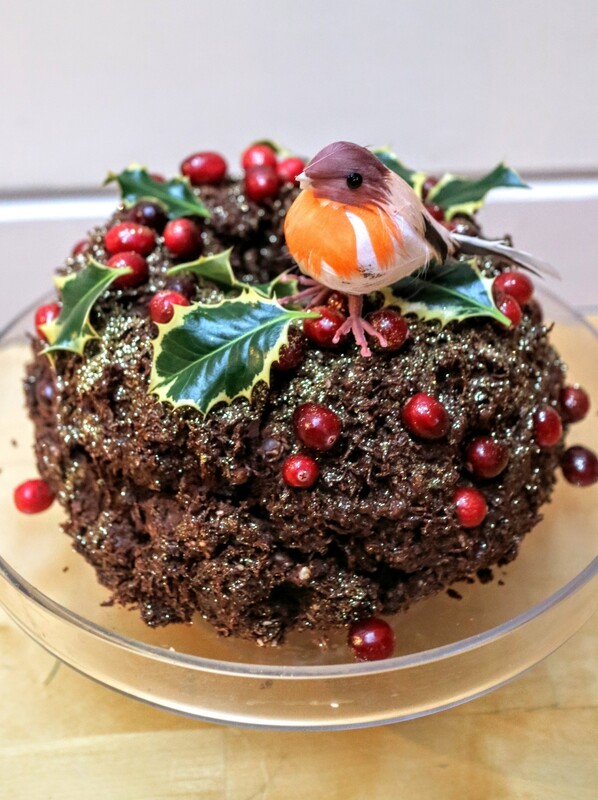 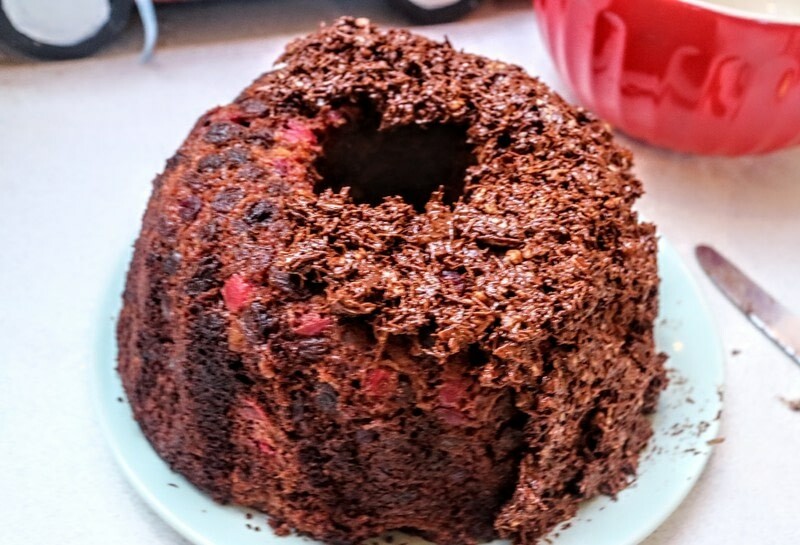 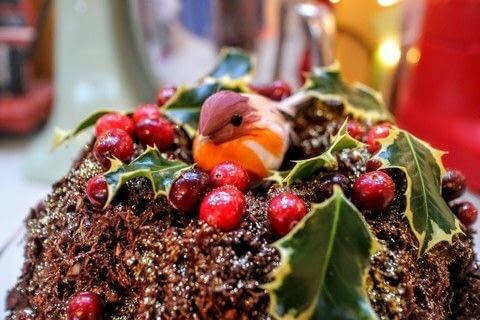 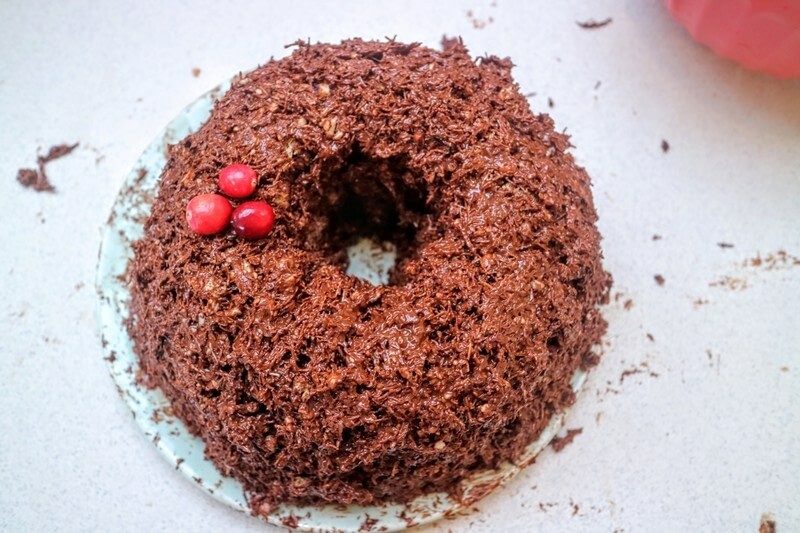 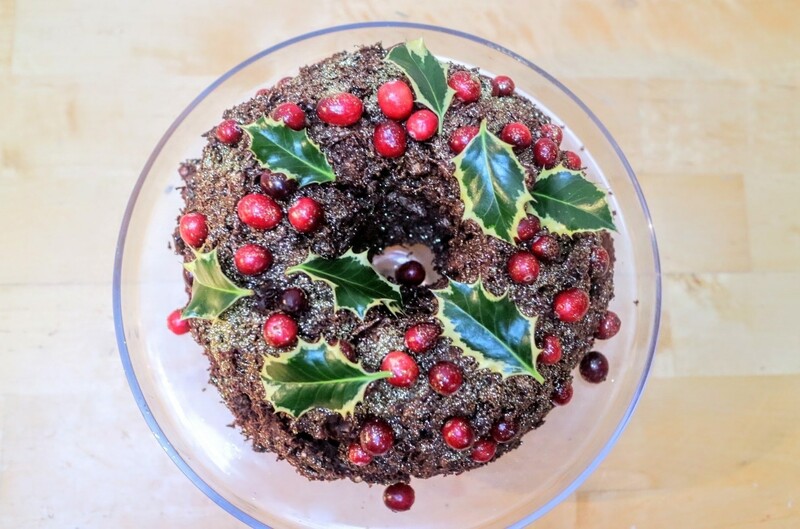 Tom wanted a chocolate cake, while the parents wanted a Christmas pudding, so I decided to combine the two and top it with an adapted version of the nest cakes I made at Easter. 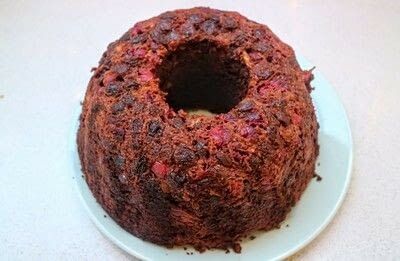 It was so fruity and moist inside and looked really pretty on our dinner table. 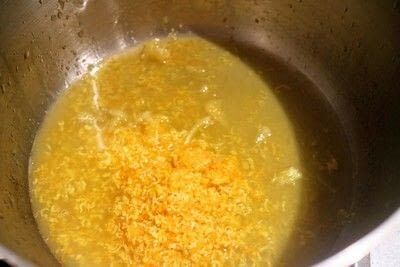 Grate the zest of the oranges into a pan and then squeeze in the juice. 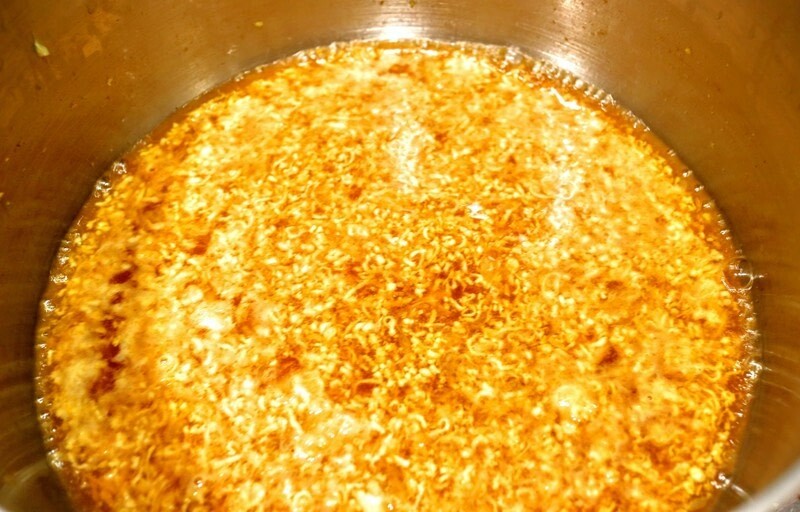 Gently heat dissolving the brown sugar. 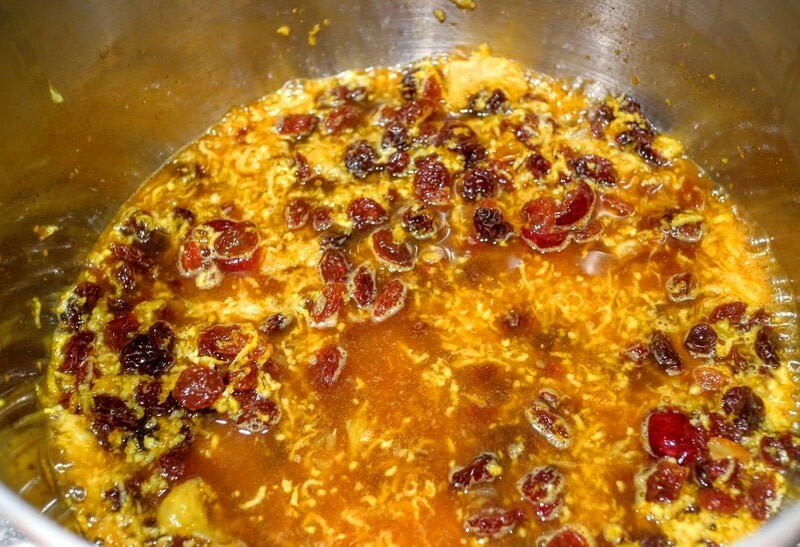 Add the water and spiced rum. 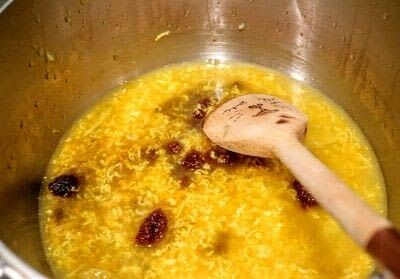 Add the dried fruit and simmer for 10 minutes. 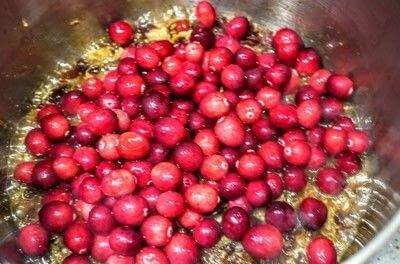 Add the cranberries and continue stewing for another 5 - 10 minutes until the fruit has softened. 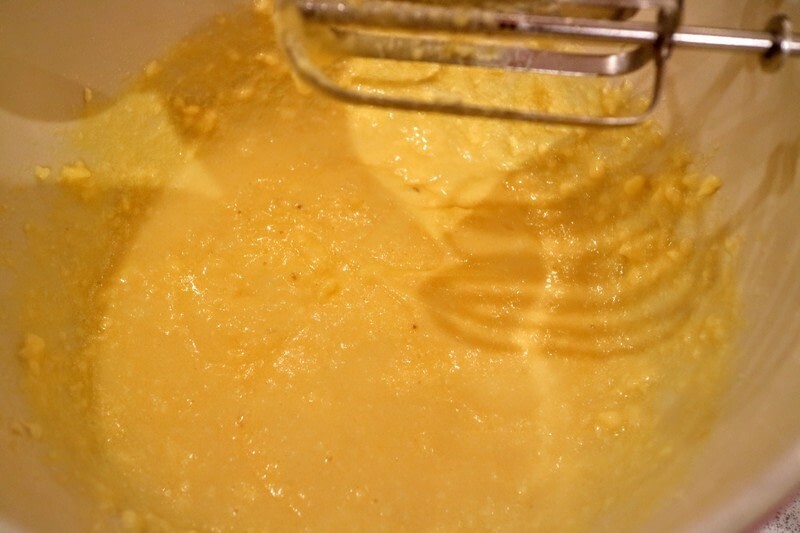 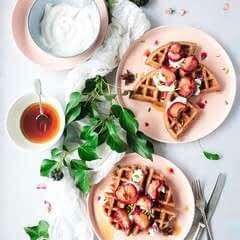 Whisk together the butter, sugar and eggs. 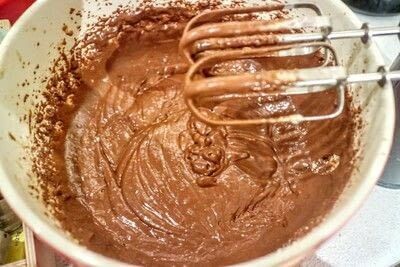 Add the cocoa, vanilla, baking powder, baking soda and salt. 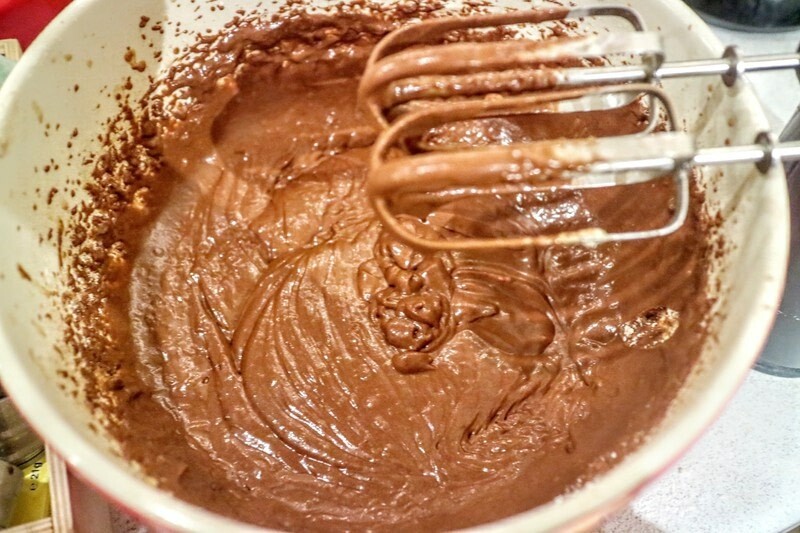 Add half of the flour, then the milk, then the remaining flour. Mix in the stewed cranberries and fruit. Pour into a greased bundt tin. Bake for 35 minutes at 180'C. 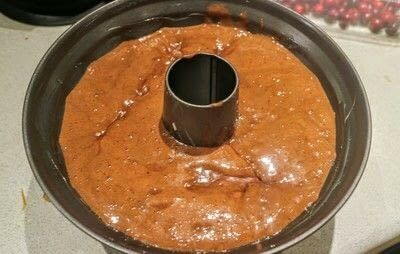 Leave to cool before turning out of the tin. 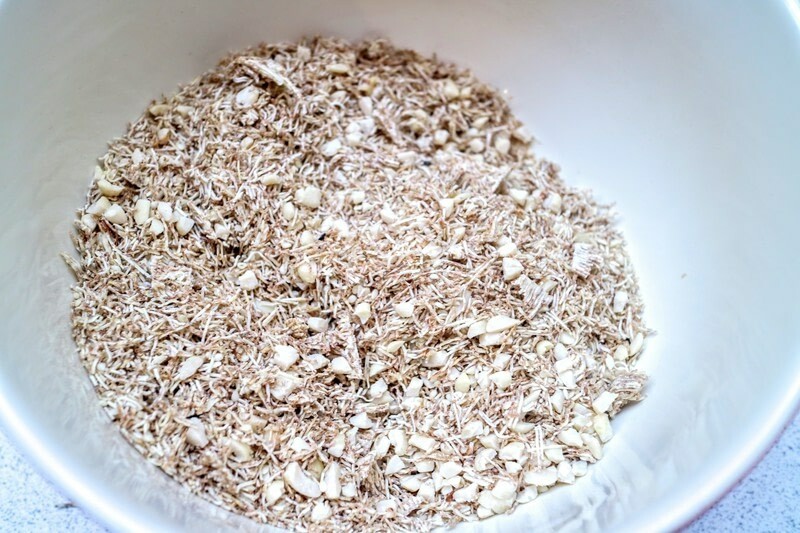 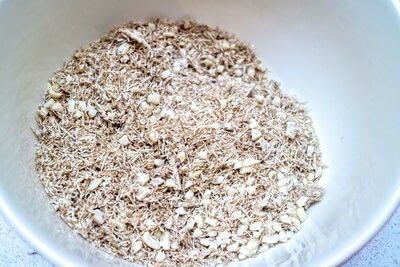 Break the shredded wheat into a bowl and stir in the nuts and sesame seeds. 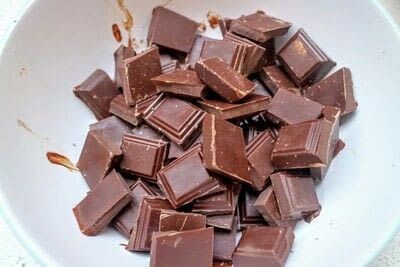 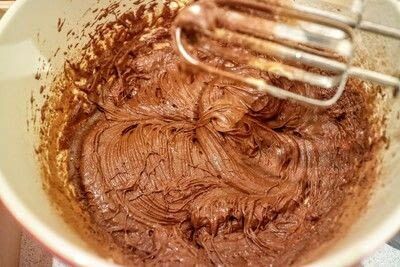 Break the chocolate into a separate bowl and melt in a microwave. 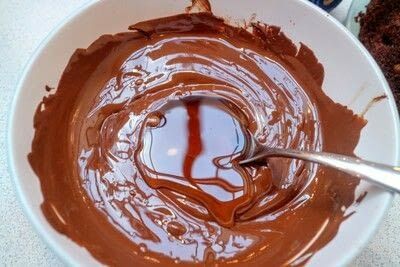 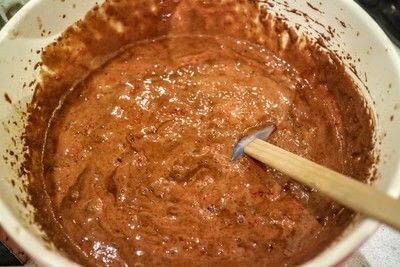 Stir the honey into the melted chocolate. 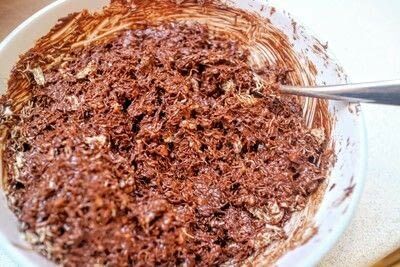 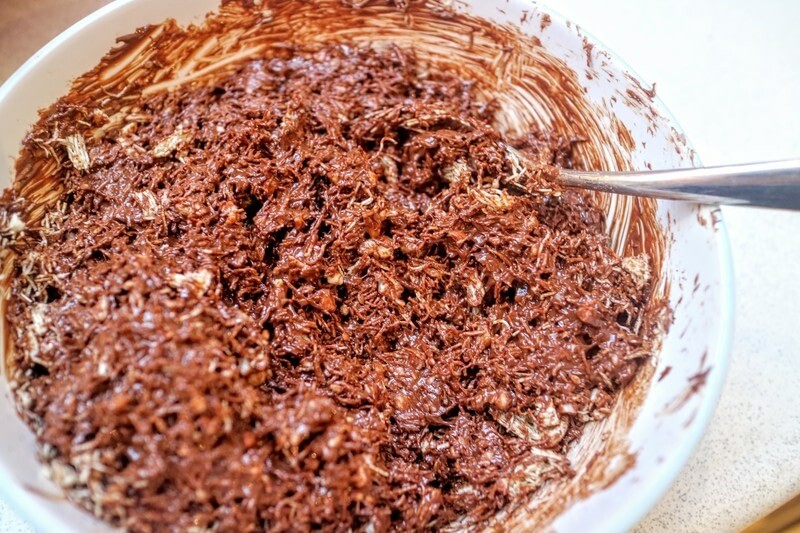 Mix the chocolate into the shredded wheat until it's all coated. 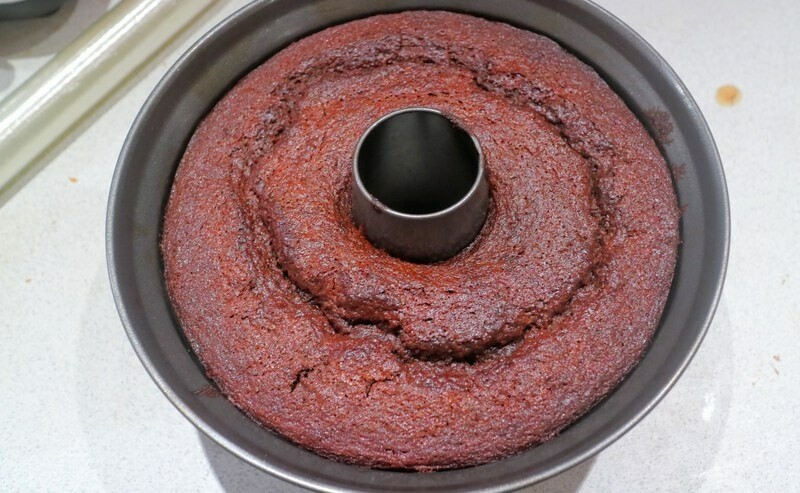 Plaster the cake with the topping, making sure to cover ever bit. 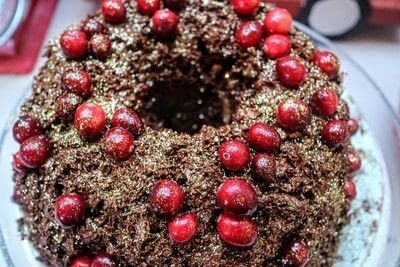 Sprinkle with gold edible glitter. 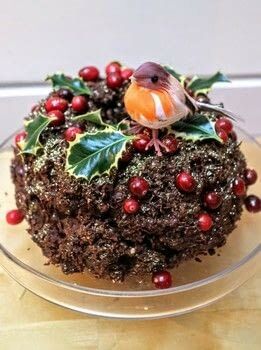 Top with a few washed holly leaves and you're done!